Let me tell you what really sets me apart from my peers. After 17 years in the business, I’ve seen it all. No one will be more committed to making sure we get to the finish line with the least amount of stress as I will. If we hit any snags, I have the knowledge and ability to resolve them if possible. I have THE best support in the industry. My assistant Molly and processor Rachel are literally the best one-two punch out there and you will love working with them. And, you will actually enjoy the process because I’m fun, like to laugh a lot and help keep us focused on the goal of you getting the house of your dreams. 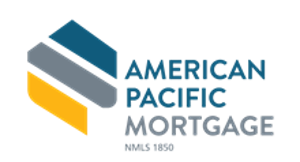 At American Pacific Mortgage (APM), we’re more than a top 10 retail mortgage bank. 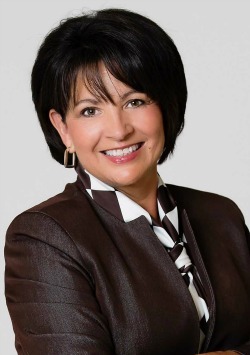 Our vision is to help Americans realize the dream of homeownership. APM is driven by our core values of Respect, Transparency and Scrappy, and we are 100% focused on making our Branch Managers and Originators look good. Our game changing loan programs and specialty products provide our Originators with the tools to create homeownership opportunities for the communities we serve. Help your buyer present an offer backed by the purchasing power of a full loan approval with the commitment to close on or before the close of escrow. If the loan does not close on time, APM will credit the borrower $895 in closing cost. Home financing as competitive as cash: allows the most competitive purchase offer to be presented with no loan contingency (just an appraisal contingency). Lock your rate and secure peace of mind while in a rising interest rate environment. Our Secure Lock program offers rate protection from rising rates combined with a full credit approval, while allowing for a float down option if rates go down. Lock your rate before you’re under contract while you shop for a home, or while your home is under construction. You can lock your rate for up to 5 months. 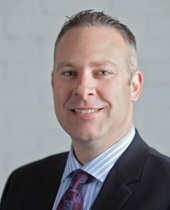 APM processes, underwrites and funds all our loans here in Denver. APM’s strength in the market allows us to consistently provide clients with a vast array of dependable products while offering competitive rates and outstanding customer service. We offer the most innovative home loan products to ensure customer satisfaction, we have it all! USDA – no down payment! With our Bridge Loan program, purchase a new home BEFORE your existing home loan is sold. In this competitive market putting in an offer without a sales contingency will give you the edge over other buyers! I moved to Colorado in 1999 from my home town in Woodbridge Virginia and love spending time with my wife Tiffany and two sons Ryan & Mason. My hobbies include traveling, target practice at the gun range, history and playing the drums. Contact me today to help get you in your dream home! Click HERE to see what others have said about me!